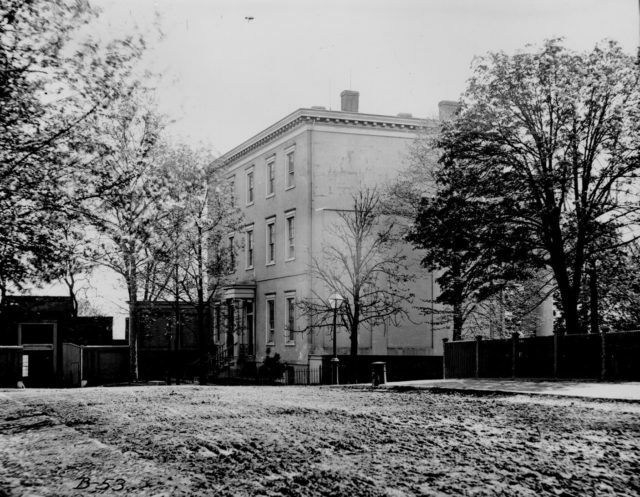 Just before Virginia’s secession, the governor of that state John Letcher wanted to set up a spy network while he was still able to move easily in Washington. 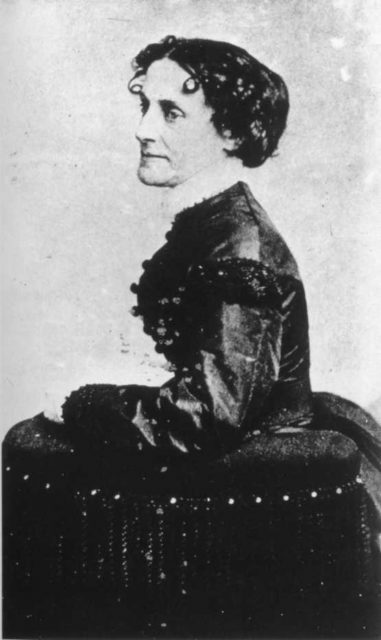 He brilliantly chose one of the most ardent and intellectual spies of the war, Washington’s favorite widow, Rose O’Neal Greenhow. She was an intelligent, politically minded socialite who was well-connected with the men of D.C. and often their confidante. 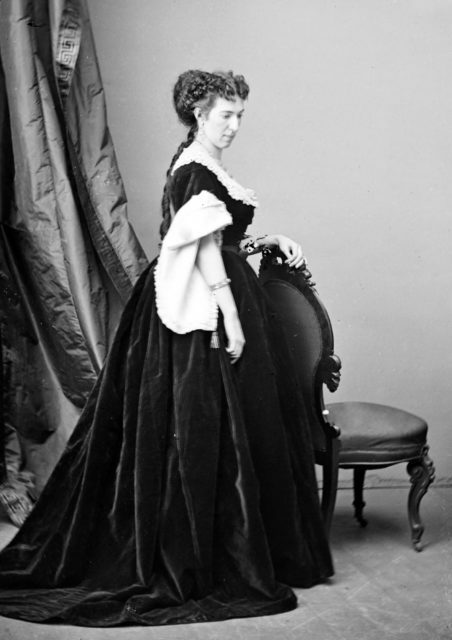 Through her handler, Thomas Jordan, she was able during the war to pass ciphers to Letcher resulting in successes in Bull Run and in gaining the credit, given by Jefferson Davis himself, of winning Manassas. Rose was not cowed, even by imprisonment, and still continued espionage activities, so much so that she had to be moved to a filthy, infested, dangerous military prison. When they finally let her out, on the condition that she stay in the South, she rebelled again. Jefferson Davis sent her on a tour of Europe where she lobbied the Confederate cause, wrote a book, and continued in relaying dispatches. When she neared home, a Union gun-runner collided with her ship, and Rose tried to escape. Even within yards of life, Rose died holding onto dispatches while drowning near the mouth of the Cape Fear River. Isabelle Marie Boyd, known by a bevy of nicknames including Cleopatra of the Secesh, was a young girl of 16 when fate barged into her life. That happened in 1861, and by 1862 she was already so well known as a Confederate spy to be talked about in Northern newspapers – even to the details of her looks and dress as though she were a fashion icon. Though they shot veiled insults at her facial features, they did wax on about her seductive nature and attractiveness. While it may seem – and is – a chauvinist analysis, Belle did use her charms from time to time to get a foothold where she needed one. She also, however, used other covert means to steal secrets and report back to Confederate officers. She never shirked danger, listening through walls to Union officers and even riding through rifle fire to the side of Stonewall Jackson to deliver news on the battlefield. There are no pictures of Mary Bowser. She served in this house, the Confederate White House, spying on Jefferson Davis. Elizabeth Van Lew’s house was home to three noble women who stood up for what they believed in despite great risk. Elizabeth, her aged mother, and a freed former slave, Mary Bowser, shared the home and used it and their wits to help the Union cause. Elizabeth was a Richmond socialite living in that Confederate capital as a known Union sympathizer and abolitionist. 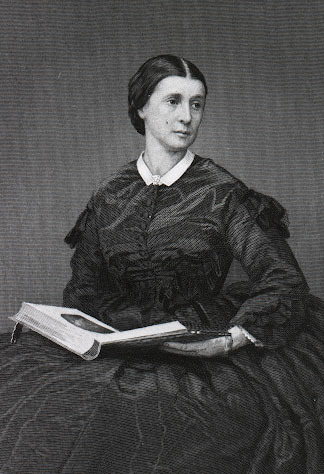 She took it entirely upon herself (with the help of her mother) to help the Union cause by caring for, passing information to, and helping Union soldiers escape from the nearby military prison. When Union soldiers she had helped returned to the battlefield and told their superior officers about all she had done, the Union officially enlisted her as a spy. Years earlier, when Elizabeth had freed her father’s slaves and their relatives, she freed and sent Mary to a Quaker school for higher education in the North. Mary had married and was living outside of town when Elizabeth convinced her to come back and pose as a slave so that she could help her in the cause. 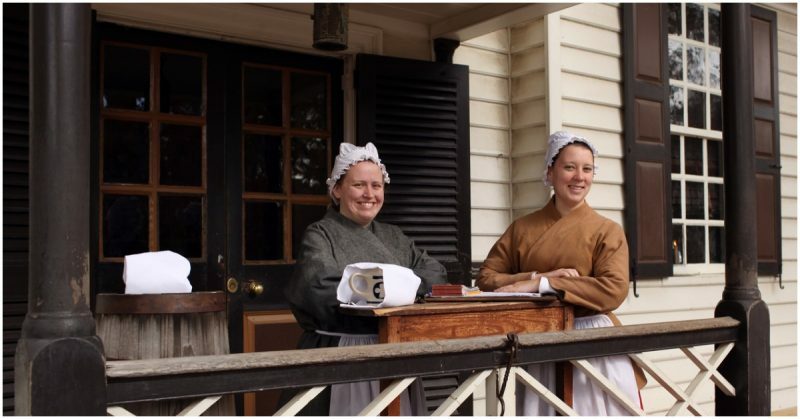 Elizabeth built a small network of couriers and spies within Richmond, including Mary who gained access as a servant in Jefferson Davis’s household. Elizabeth sent coded messages North and even dispatches written in invisible ink. 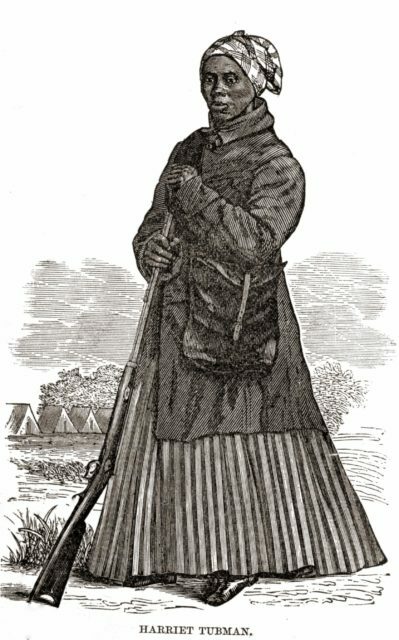 Harriet Tubman woodcut showing her at the time of the Civil War in what she would have worn while scouting. There are very few that are not familiar with Tubman’s work on the Underground Railroad. Her activities during the Civil War were equally heroic. She started out the war as a nurse and cook. While slavery was still in effect, she could not serve as an enlisted person. Until then, she became renown in her work as a nurse as a person of great herbal knowledge and success in healing. When Emancipation came, she was able to enlist. She was quickly recruited to spy, scout, and lead covert missions. She became a leader of a group of scouts engaged in espionage in South Carolina with the mission of freeing slaves and giving them routes to safety. In the Combahee River Raid, the efforts of her spies and 150 black Union troops led to the freeing of over 750 slaves.